Search Marketing has seen a huge amount of developments over the past 12 months, keeping every business and online marketing person on their toes. Well, this is just the start and changes in the industry are set to change at ever increasing speeds. We will be investigating and discussing the future of the industry in January, however in this post we look back to the most significant changes. Why? Because often the past is a good indication of future direction. Google are always changing the way the analyse and process peoples sites through algorithm changes. The main ones this year were the Panda and Freshness update. The aim of Panda was to reduce the value of lower quality content and links within the algorithm. Previously people would write near non sensical articles, submit them to an article distribution site and gain valuable links back to the site, boosting their overall ranking. These sites have been picked up and identified in the Panda change, and subsequently devalued. Social signals have increased their priority in the natural algorithm. Twitter particularly is helping to inform the search results and increase the number of time Google visits your site. Again, this algo change has helped to ensure that the results users get are timely and up to date. Site links have also seen a bit of a face lift. They now take up a lot more space on the page, helping the brand owner knock out those pesky competitors who are ranking for their brand term. From an analytical point of view there have also been changes, and we have seen increased integration between Web master tools and analytics. These are powerful SEO analysis tools in their own right but combined they have increased potential. And finally we say farewell to Yahoo site explorer. This was possibly the only reason I used Yahoo. Site explore was a great tool for finding out how many back links there were to a site or page. There are fortunately a number of other tools available, but this was my favourite! Google analytics has changed to a new interface. The main addition to the tools is a multi channel funnel. This means that you are more easily able to monitor the impact each channels has on one another. i.e. How many people click on a PPC advert and then come back via a natural listing. Ultimately this is the start to an attribution model giving businesses a great chance of quantifying the effectiveness of each online channel. There has been the release of new advert formats, which include product ads and call extensions. There have also been new match types which we have discussed in a previous article, helping to refine traffic further. Again more tools to master in order to gain online dominance. Yahoo and MSN have begun their merger in the US. Yahoo is now running from MSN’s algorithm so you will see the same results in both Yahoo and Bing. 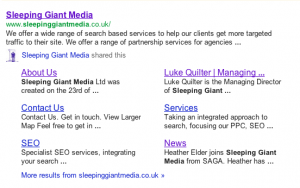 This integration will go further in 2012 and will see the paid search platforms combining. All the social platforms have changed massively. 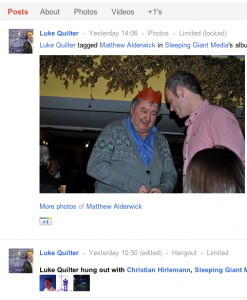 We have also seen the introduction of Googles new social offering Google+. There have been social measurement tools that have surfaced, helping to try and quantify the social channel. Klout is a good example of this and there have been a number of others that are emerging as brands look to invest money in the channel. There have also been a number of developments within the social management tools. Tools like Hootsuite have continued to developed their offering and management capabilities. Social bro is one of our favourites. Facebook have made improvements to the advertising platform, but are still a way off the likes of Google from an advertisers perspective. Facebook is close to 1bn global users.